Induction brazing is a process in which two or more materials are joined together by a filler metal that has a lower melting point than the base materials using induction heating. And it's true that silver is often used for induction brazing because of its low melting point. For instance, silver-copper eutectic brazes have melting temperatures between 1100 and 1650 degrees Fahrenheit (621 to 699 degrees Celsius). However, brazing aluminum is also a popular choice because of the various qualities in the metal and how they react during the process. 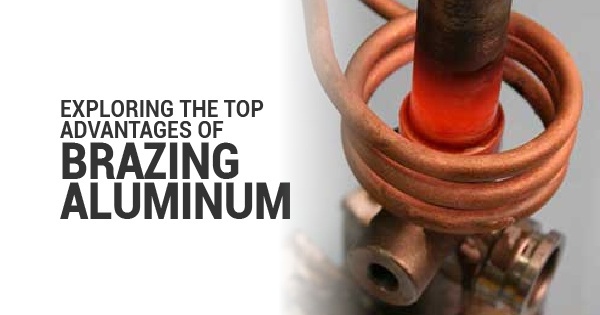 Here are just a few benefits of brazing aluminum. First, unlike other metal fusion processes, brazing aluminum is relatively affordable due to the simple fact that it doesn't require argon gas, a wire spool, electricity, gloves, or a shield. Brazing machinery is known for being small and portable; it stores easily and is very easy to carry from location to location if needed. Overall, brazing aluminum is considered to be a very affordable process. Brazing aluminum is much quicker than conventional methods. This makes repairs go much smoother and potentially ready the same day. Process speeds vary from application to application, but in general, aluminum brazing is considered to be a quick and efficient method of metallic repair. Brazing aluminum is also known for being very effective -- potentially more than other metallic repair methods. This is because one aluminum product permeates and fills all cracks and holes in a surface. This process also seals all leaks and permanently bonds flat pieces, making for a very efficient and effective form of metal repair. Many of those with experience say that the process is simple to carry out as well, making it suitable for even those without much brazing, welding, or metalworking experience. "You can actually use Aluminum braze to repair cracks, holes, leaks, rivets, broken ears, threads or fabricate aluminum, cast aluminum, and cast iron quickly, easily, and stronger than new...Aluminum brazing alloys are used to provide an all-aluminum structure with excellent corrosion resistance and good strength and appearance," writes WeldGuru. Ultimately, understanding the specific advantages that come with brazing aluminum is the key to choosing the right metal and brazing machinery. For more information about how to braze aluminum, tips for brazing aluminum, the advantages of using induction for brazing, and what industries need brazing, contact Ambrell Corporation.